If you have just had a new tax code or VAT demand, it is likely that the Revenue and Customs office that issued it is managed in a tax haven. And if you have recently visited an old Abbey National office of Santander Bank you are on the premises of an off shore managed office. You probably didn’t know either. Today an analysis by Parliament’s watchdog the National Audit Office reveals the off shore company that managed both deals are legally set to avoid paying hundreds of millions of tax to the very offices making tax demands on you. The findings by the Commons Public Accounts Committee is the latest revelation on signing an outsourcing contract 8 years ago which MPs describe today as “ highly damaging to the Department’s reputation”. In effect to save an estimated £1.2 billion Revenue and Customs signed a £3.3 billion contract with a firm now called Mapeley to hand over for 20 years the ownership and management of 591 tax offices including the freehold of 132 offices to an offshore company then based in the Cayman Islands. Today the cost of contract has risen to £3.87 billion, the maximum potential savings have dropped by £300 million and the department has found that it cannot recover its own VAT from the rent. It will have to draw up contingency plans costing over £100m should the company walk away following a decision to close 130 tax offices as part of the first wave of efficiency savings. But the most extraordinary revelation is the rare glimpse given into tax avoidance by auditors from the NAO. After a stormy hearing at the Commons public accounts committee, the company allowed the NAO access to its offshore books to see the effect of the loss of tax revenue to the government. The figures, hidden at the back of the report, are staggering. If Mapeley, now part of the US offshore Fortress Group was based in Britain rather than Bermuda, the tax coffers would be swelled by £184m. Easily enough to build a teaching hospital or renovate a lot of schools. In fact the company is expected to pay £14m –saving £170m. That is hardly enough to renovate a big secondary school. 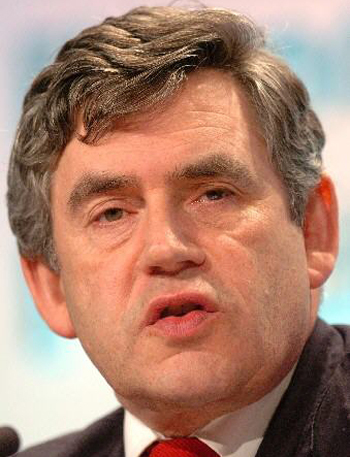 Furthermore Gordon Brown’s efficiency savings by closing down tax offices is going to give the offshore company a tax bonanza if it can get a good price for them. Only the recession is stopping them. These tax savings are only on the Revenue and Customs contract. The company has a similar deal with the old Abbey National and if branch closures follow bank mergers under Santander, logic dictates even more tax savings. With everybody living in this country having to pay more tax and face cuts in services to pay for the bail out of the banks, the prospect of the Treasury being deprived by the Revenue of extra tax is obscene. The people who negotiated this deal should hang their heads in shame and the politicians, and that includes Gordon Brown, chancellor at the time, should be brought to account for such an inept negotiation. For while we debate the scale of tax rises and cuts in the general election campaign, the directors of the company involved must be laughing all the way to their offshore bank. This blog is also on The Guardian’s Comment is Free website. This entry was posted in Uncategorized and tagged bermuda, gordon brown, off shore rip offs, revenue and customs, tax avoidance. Bookmark the permalink. ← Will bad planning by the Tories let the lights go out?